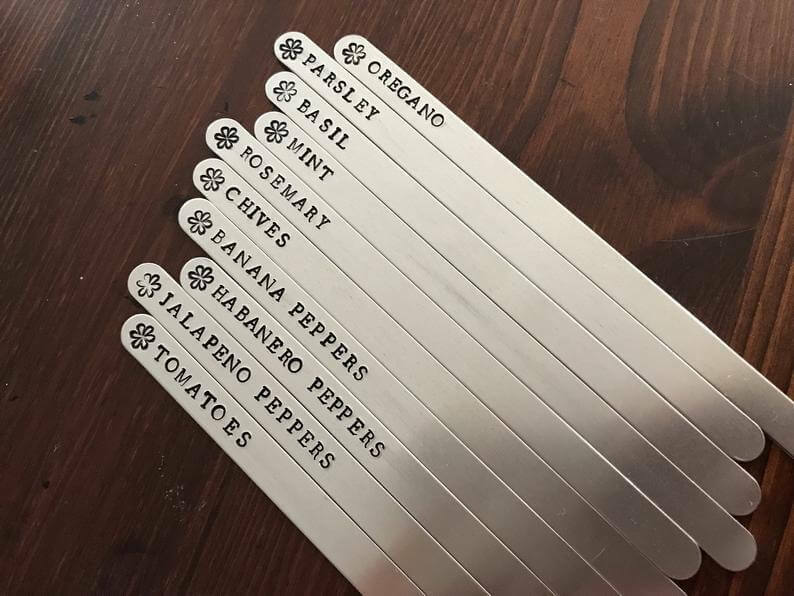 These aluminum markers are hand stamped with the names of herbs and garden vegetables. 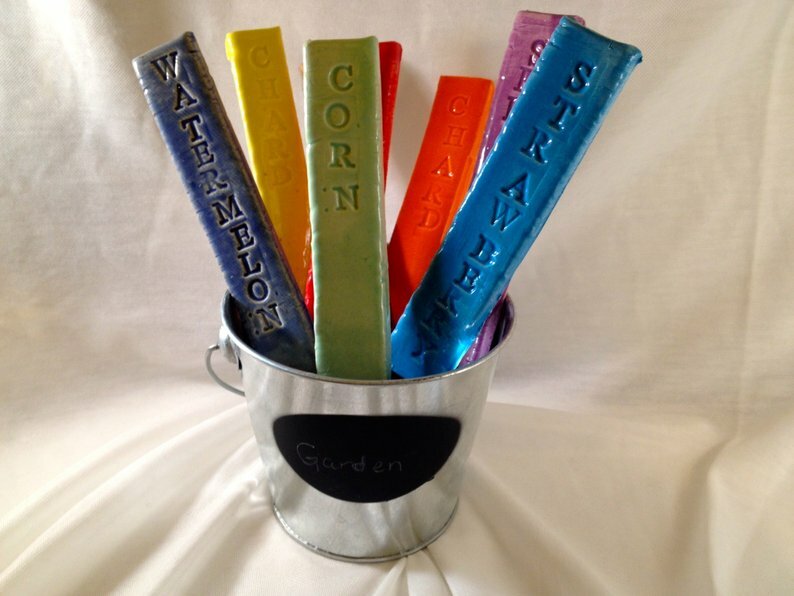 They can be left in the ground or pots over the winter. 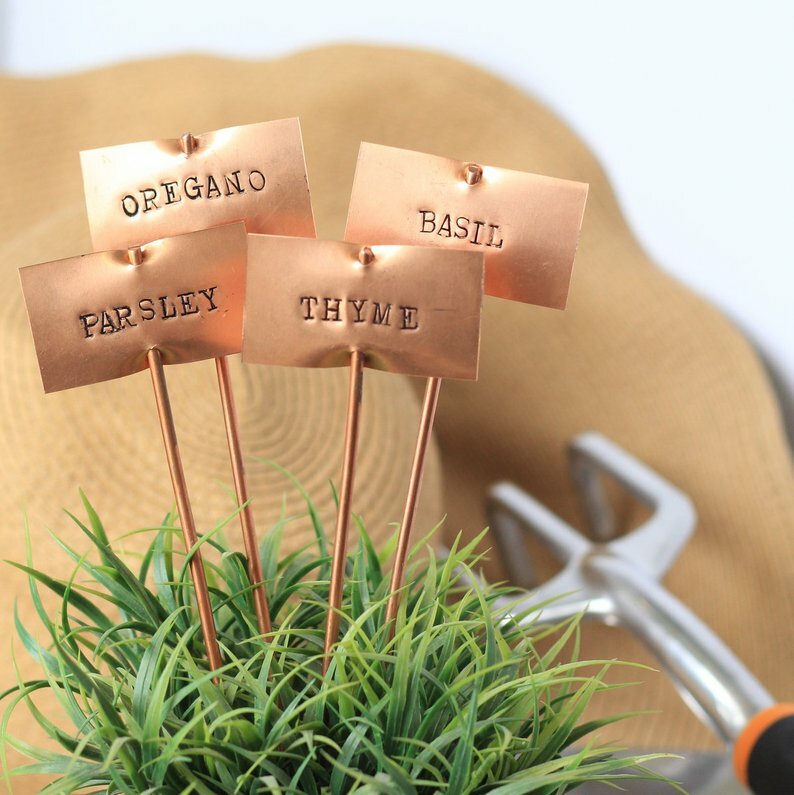 These beautiful copper garden markers can be polished with copper cleaner once a year or you can let them gradually tarnish. 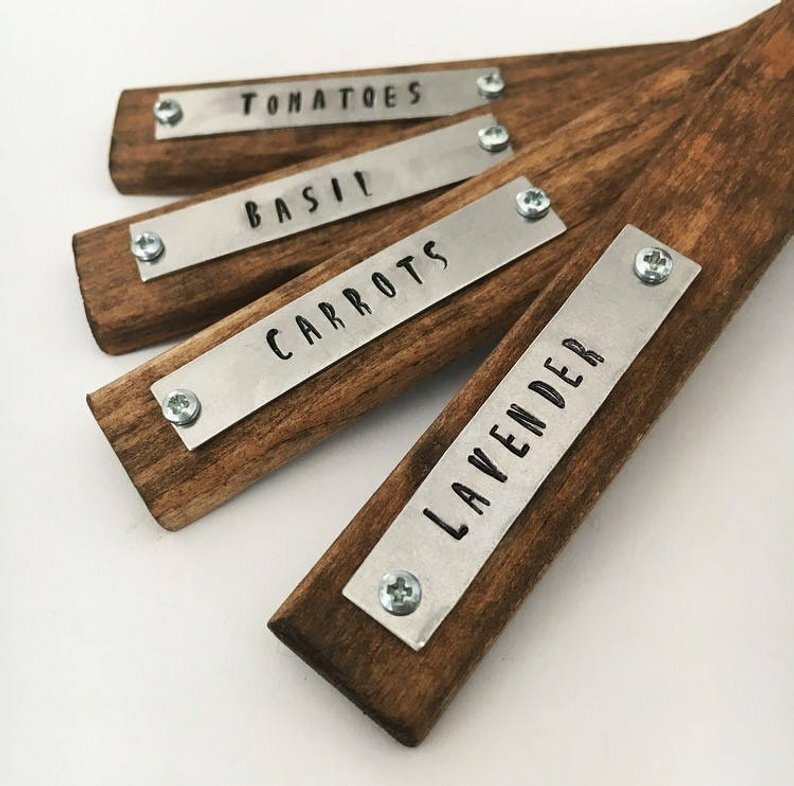 Stained pine wood garden markers with stamped aluminum plates. 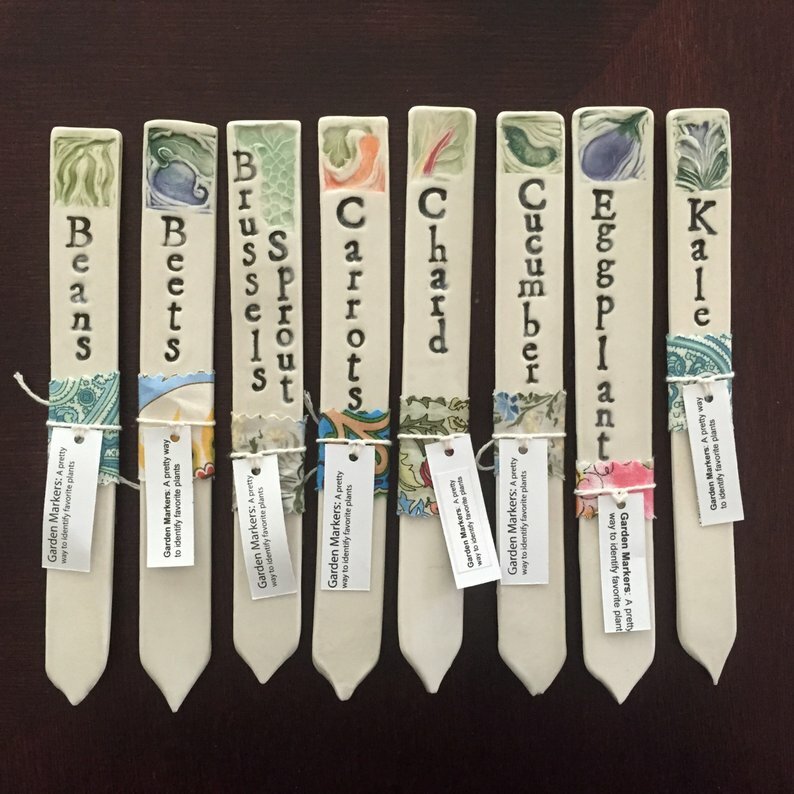 These beautiful garden markers are made of porcelain and then stamped with the vegetable name. They also include a stamp of the vegetable at the top. 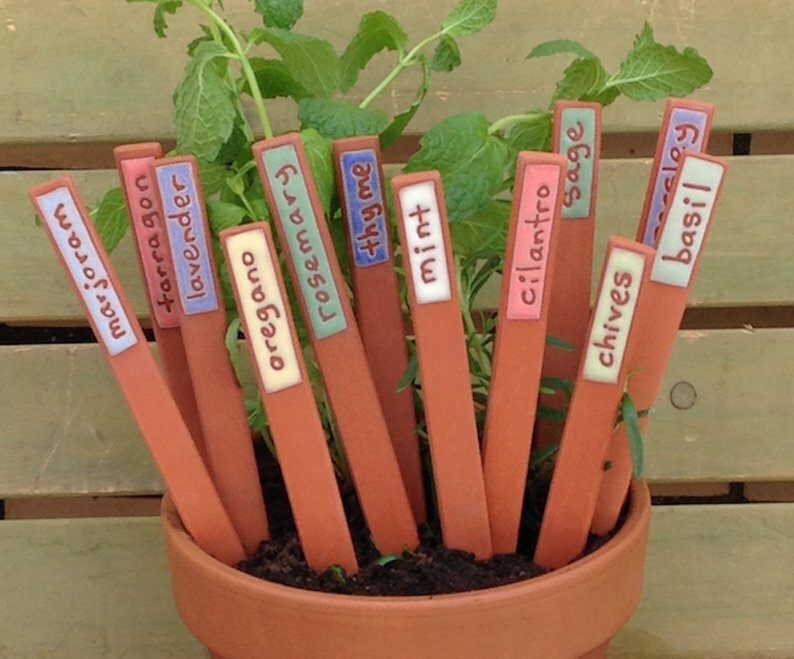 Charming terra cotta herb markers that will add a splash of color to your garden. 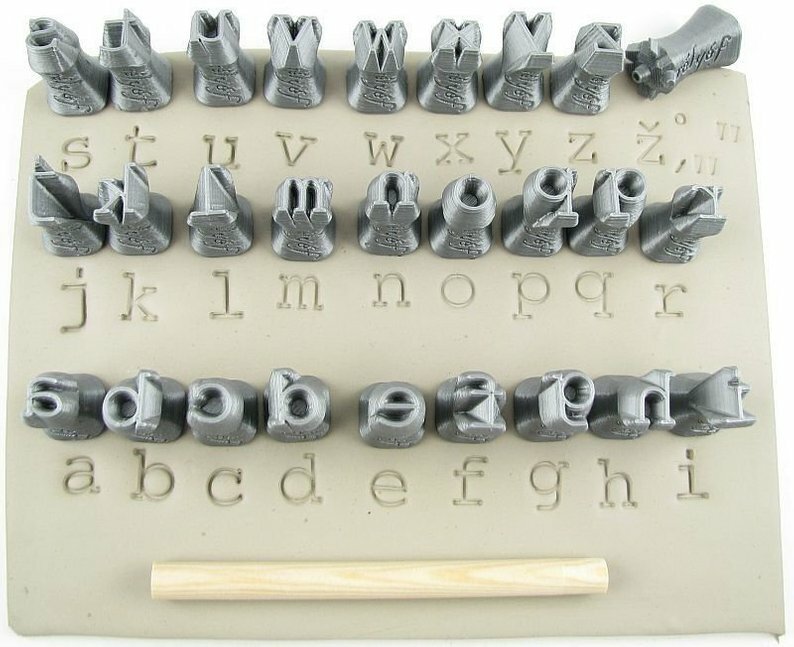 A set of 20 etched clips that you can place on posts or row markers. 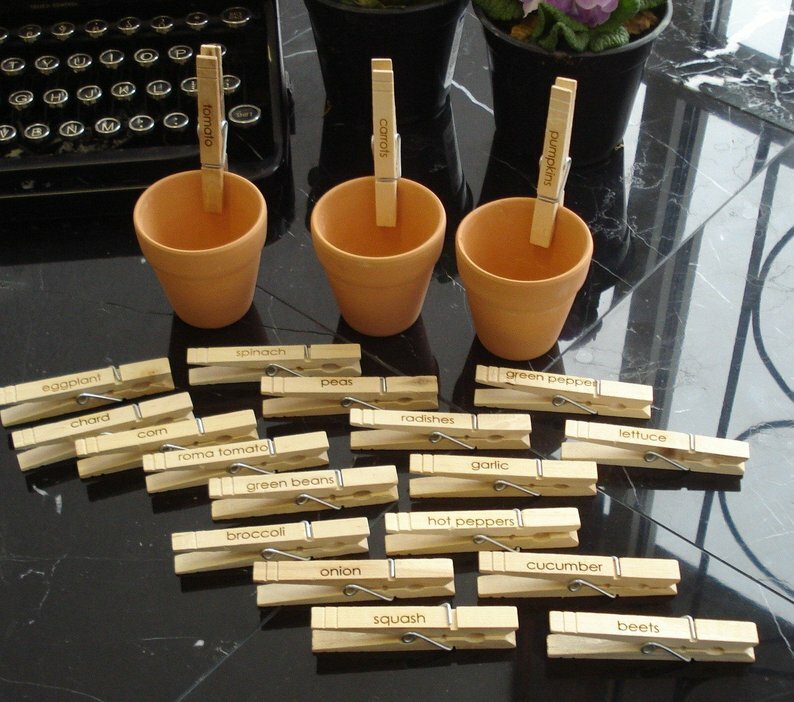 At the end of the growing season, you can use them to clip your seed packets closed. 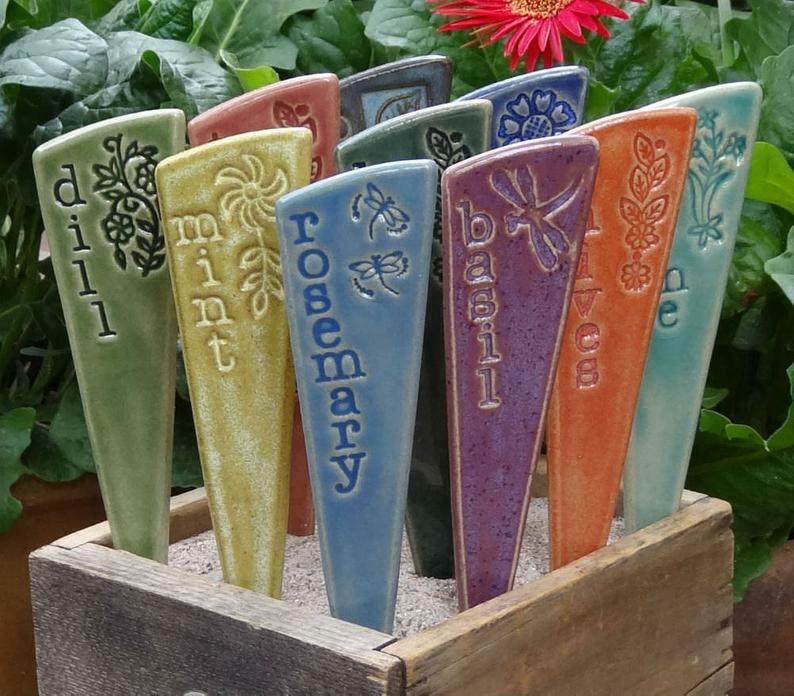 These colorful stoneware garden markers can be stamped with any custom text that you request. 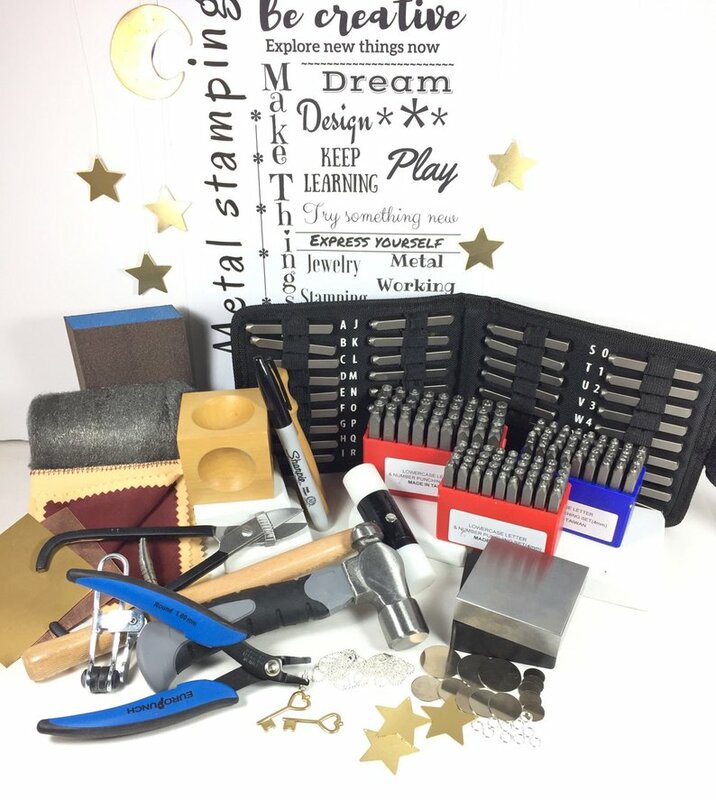 They are durable and will not fade. 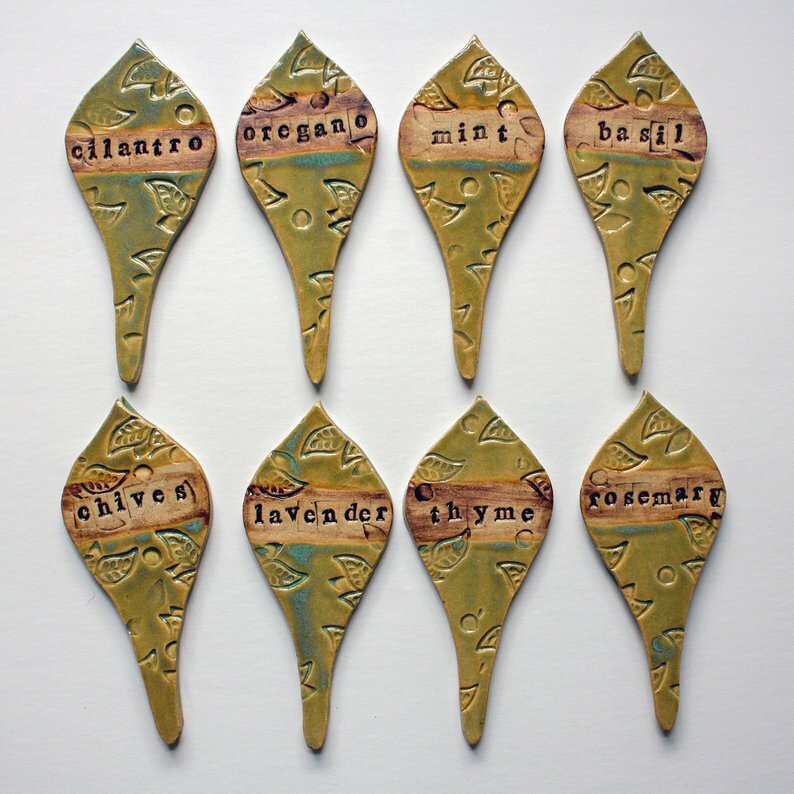 Each herb marker is cut from slabs of stoneware clay, stamped with the herb name, and then decorated with a leaf motif. 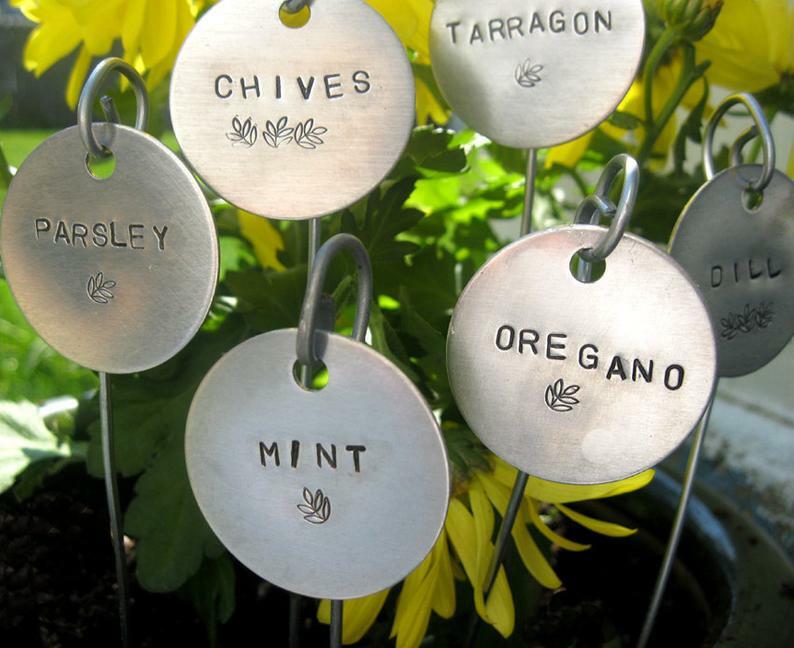 These round aluminum garden markers can be stamped with any herb or plant names that you’d prefer. 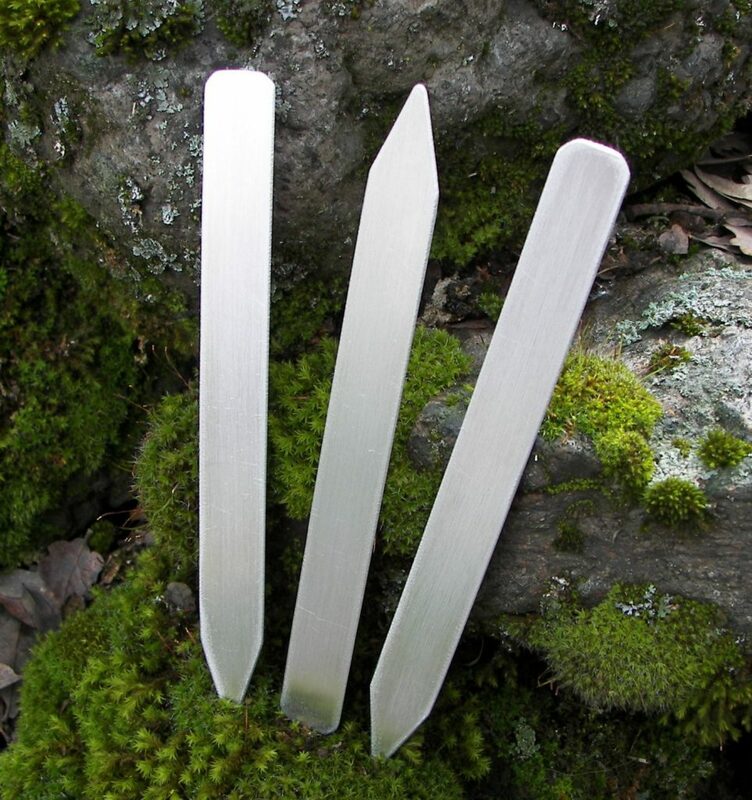 The set also includes stakes. 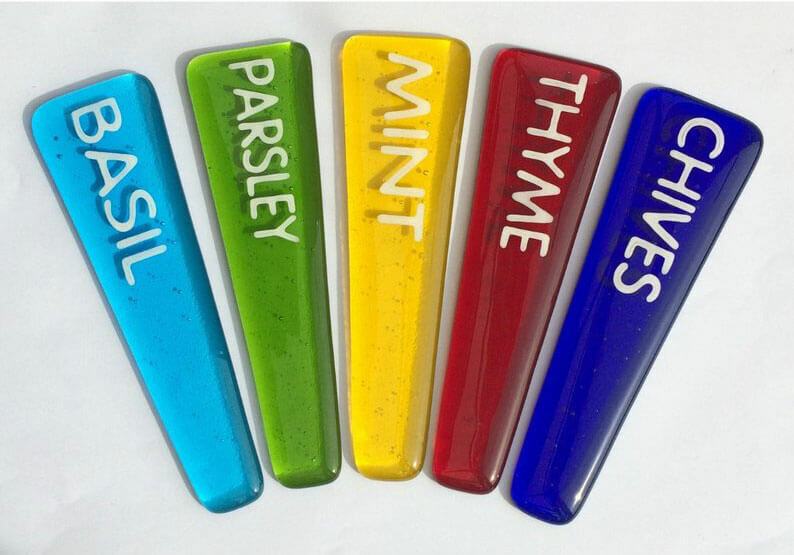 These cute ceramic herb markers are cut from slabs of stoneware. 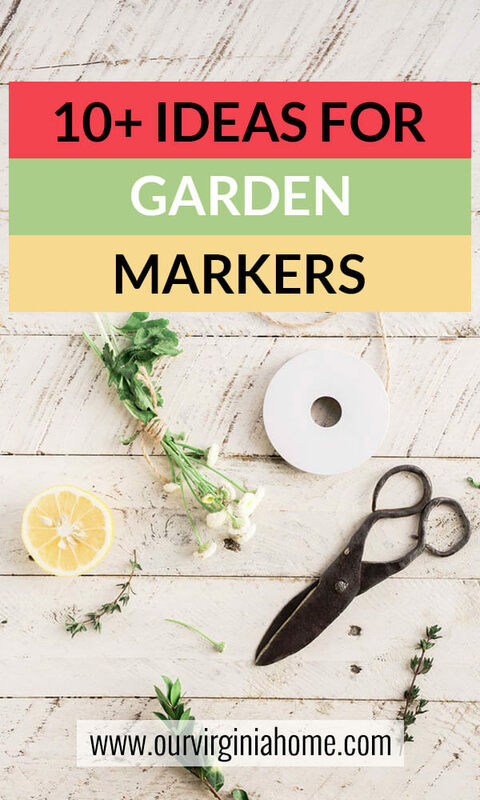 They are stamped with insects and flowers.